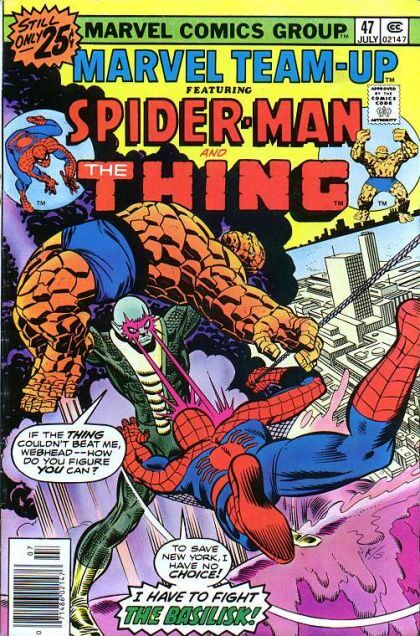 Spider-Man and The Thing: I Have to Fight the Basilisk! Spider-Man manages to temporarily slow down the Basilisk with a cave-in, and uses that time to help bring the Thing back to consciouness. The pair have to stop the newly powered Basilisk from destroying the world, but to do that, they'll have to stay out of sight.